I have everything in my life that I have always wanted for the most part. The only thing that holds me back is unmanageable pain. I hope that this blog can bring people together. I hope it becomes a source of inspiration, encouragement, and support for “chronic” gals and guys just like me. 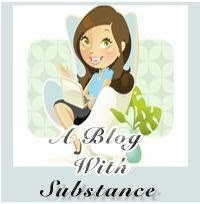 Hi Jolene, and welcome to the wonderful world of Fibromyalgia blogging. I am so impressed that you have written over 100 posts in less than 2 months! Very prolific! I have enjoyed your passionate and heartfelt posts. Looking forward to reading more. Awww….. thank you so much for taking the time to read my blog, and for the wonderful words! It means a LOT to me! This blog has been such a blessing! I love to write, but gave it up years ago when I lost my brother. It has been quite a journey from that place, but I am really happy to be writing again and to be meeting some amazing people in the chronic pain community! The new friends I have met through my blog are all priceless to me! Thank you so much for stopping by and taking the time to read, it really means a lot to me! Your site is amazing by the way!! Hi Jolene – I’m mystified…about how blogs work. I found one no problem to leave a post. I have also very difficult time with sleep. Well I’m going to see if I can leave this “test” post. Hi tonite in pain for 4 days and trying not to be a miserable person for my family and friends……….but sometimes I just want to be understood at 41 with severe osteo…yikes ..u are so young I can really related I have 2 wonderful kids.. I am glad I found your blog …I am not alone ..I want to keep my humor and enjoy my family despite this pain….. Welcome to my site! You are more than welcome here anytime, and NO, you are NOT alone! I am sorry that you are suffering :(. There is a great deal of support in the the online pain community. Are you on Facebook? If so, I started a Facebook group for people who suffer with Chronic Pain, and we would love to have you! It’s so nice to see that there are so many sites to help people in chronic pain. I was diagnosed with FM,CF & Arthitis more than 18 years ago, and still to this day receive very little help for pain relief. I currently take 18 Tylenol 4’s a day, and this barely skims the edge off the constant pain. I don’t see the doctors attitude in giving stronger pain medication because “You might become addicted to it”. They should have to live in our shoes for one day, and see if they feel the same way after. The problem with FM is you don’t look sick, and so there isn’t anything really wrong with you. It’s a very disabling disease and we definitely need more research into it. I love your site, thanks for sharing!!! Thank you so much for your comment! Please know that you are ALWAYS welcome here! HUGS! Please keep coming back! Thanks for your reply. Yes my Tylenol’s are a prescribed dosage. I have been on demerol, perocet, as well as the T4’s. I was diagnosed by two Rhumetologists, as well as several general practitioners. The T4’s are better than no meds at all. Staying in bed all day is not an option for me, where I would be without my meds. I only recently retired from my fulltime job. At least I have the peace of being home. My belief is that everyone should be self sufficent regardless of any handicap. I have managed to do that. I won’t give in and stay in bed or rely on others to take care of me. The burden of your life should not be placed on another’s shoulders. Staying active, working, and looking after family can keep your thoughts off pain and anxiety brought on my FM, not to mention the satisfaction one recieves of saying “I can do it, or I did it”. I can now rest more often and do some hobbies that I enjoy. Thank you for your concern, you are a special person. Please tell me how you cope with FM..I may find benefical options that will help me in my day to day life. Just thought to stop by and say hello. I don’t have the resources to read a lot of blogs but am gradually getting through the ones that seem interesting. I’ll be interested to read more of your musings :-). Cheers! Just dropping in to say hi. This weather in the west has been terrible, and the aches & pains are relentless. It should would be nice to have at least a little summer weather. Another cloudy day, and more hum drum rain.. 😦 A little sunshine in one’s life would make coping with pain a little easier. How are you doing, haven’t seen much action on this site lately. Guess were all too achy to bother. I am so sorry that I haven’t been posting much the last little while… I hope I am not letting people down :(. Between family issues, the weather, pain, a new puppy, and my sons busy schedule I haven’t had a whole lot of time to sit down and write…. And I miss ALL of you! This weather has been horrible, and I for one will be doing a happy dance when we finally get SPRING weather! (Sad isn’t it? It is almost summer, and we haven’t even had spring yet!). How are you doing? I hope life is going smoothly for you ;)…. it hasn’t been on my end this past month or so! Hugs and love to you… thanks for dropping by… I am hoping I can get back into a regular routine of writing soon…. I miss it! I just found your blog when I just noticed you following my blog on NetworkedBlogs. So, I hopped over here to say hello. It’s nice to “meet” you. Fibromyalgia is one of many conditions I have. I have lived with chronic pain/illness since my endometriosis symptoms began 28 years ago. I am now 41 and the list of diagnoses has grown over the years. Thankfully, I have met some caring, thoughtful, knowledgeable people over the years who have helped me immensely! I try to “pay it forward” by sharing what I’ve learned with others. I like to think that by doing so I can sometimes help people minimize or avoid the suffering they would have otherwise. I feel like I have an obligation to share what I have learned with others since so many people have helped me so much over the years. I’m sending thoughts of positive, healing energy your way! I sent you an invite to my Graceful Agony Facebook Group as well. I can very much relate to you – I have gone through HELL with my endometriosis…. as well as my Fibromyalgia, Nerve Pain, ME, Migraines… etc… etc.. LOL!!! I had to re gift this award back to you. I love your site. I finally joined FB, but am using a pen name. Sheila Singleton invited me to join your group there, so I put in a request but wanted to pop over and let you know. I hope to be a part of your group. I hope this day is being kind to you. Hi, I came across your site while trawling through blogs of people with Fibromyalgia. I was diagnosed with FM about 3 years ago but in hindsight have had symptoms for around 20 years but definitely worsened in the last few. I live in a small town in Tasmania, Australia and its so good to find a community on here that knows and understands. Hi Jolene, Graceful Agony is the most beautiful song speaking right to the heart. I could have written those very words to say how I feel. I will write more later.